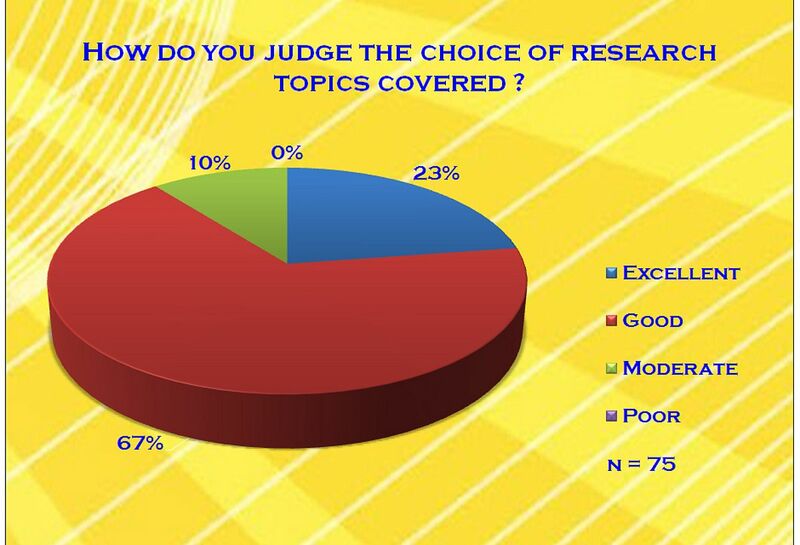 How do you judge the choice of research topics covered? 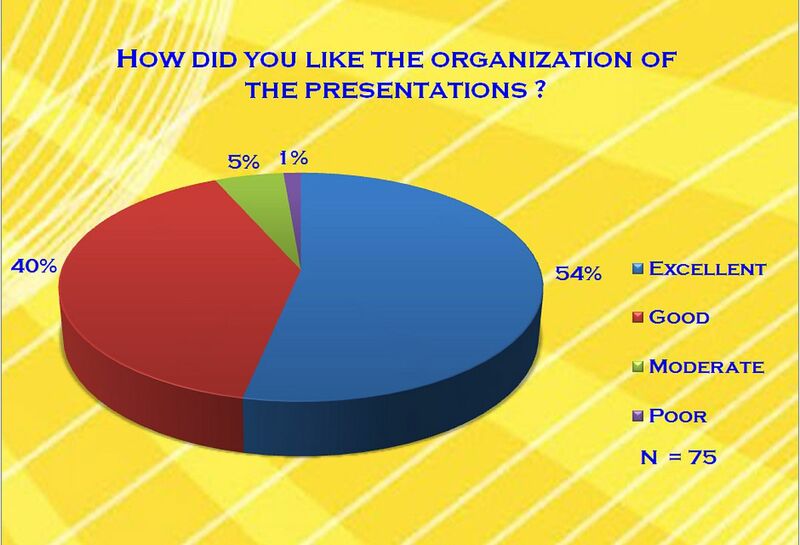 How did you like the organization of the presentations? 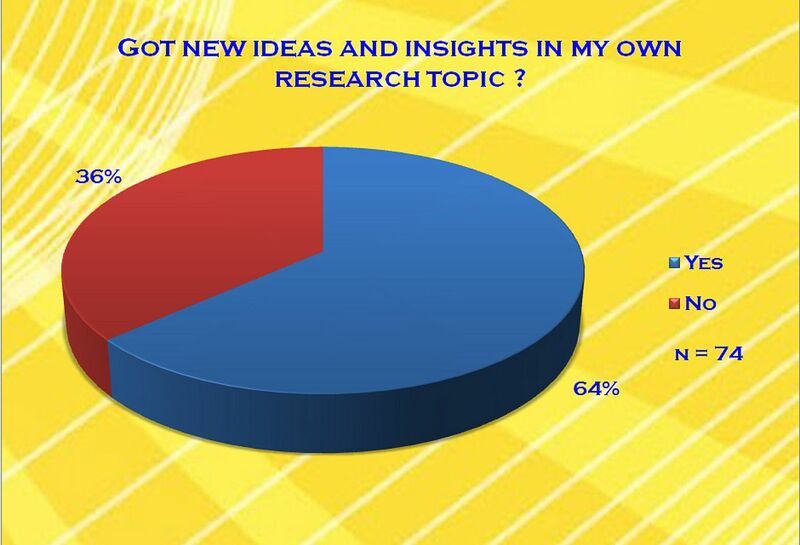 Got new ideas and insights in my own research topic? 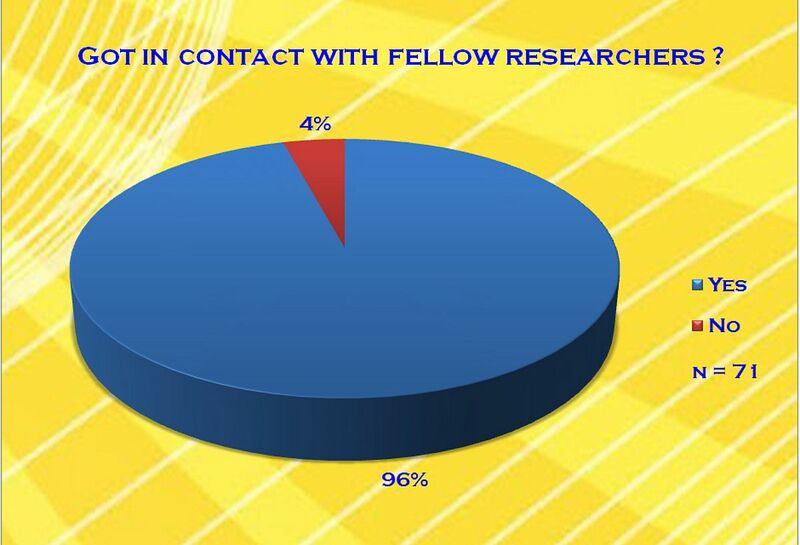 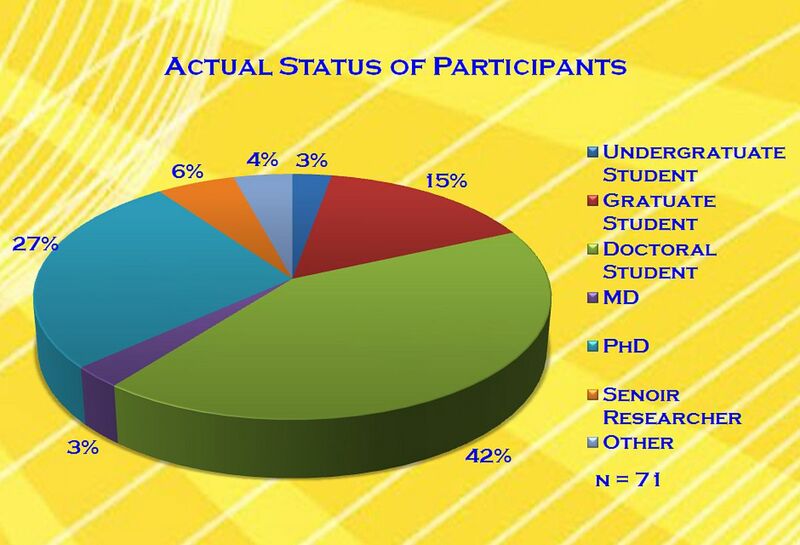 Got in contact with fellow researchers? 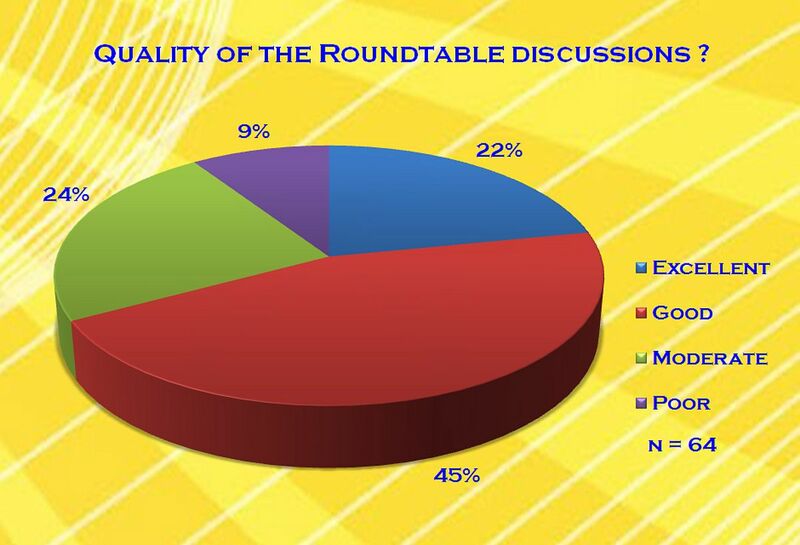 Quality of the Roundtable discussions? 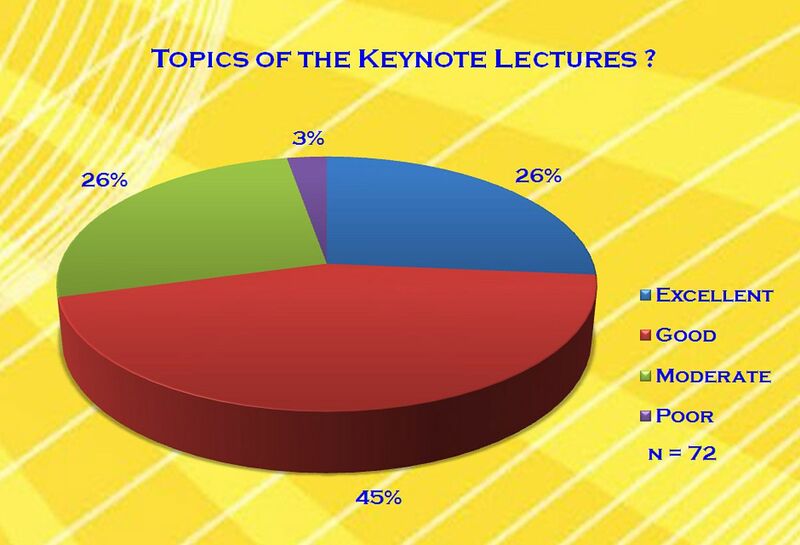 Topics of the Keynote Lectures? 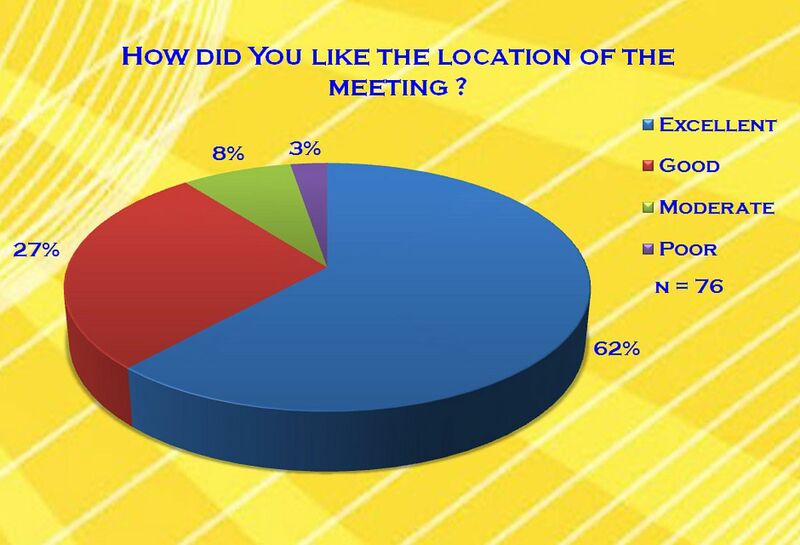 How did You like the location of the meeting? 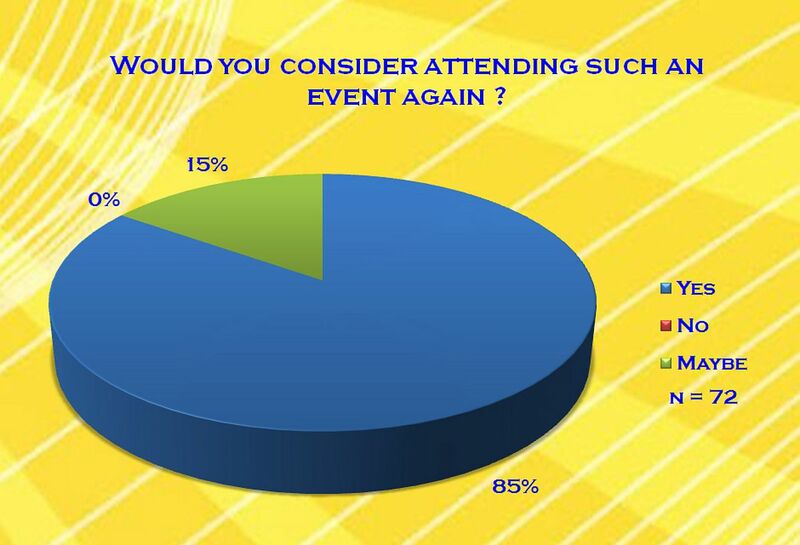 How did you like the conditions in general (facilities, catering,...)? 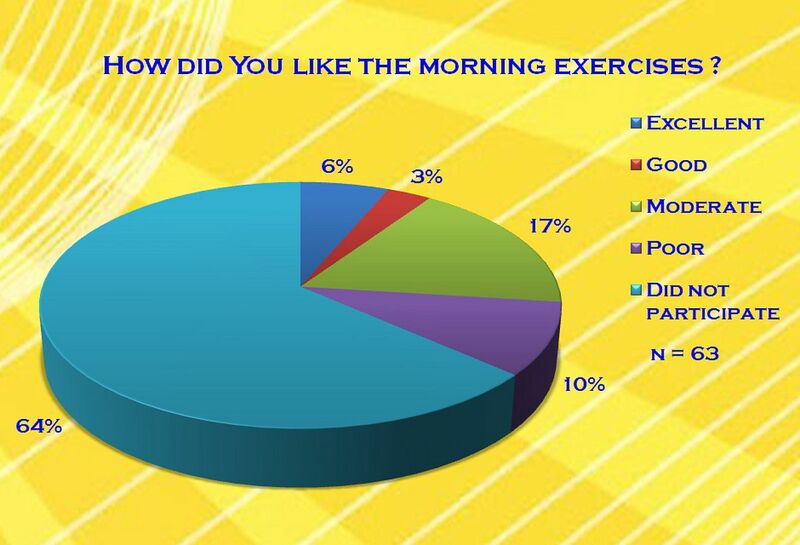 How did You like the morning exercises? 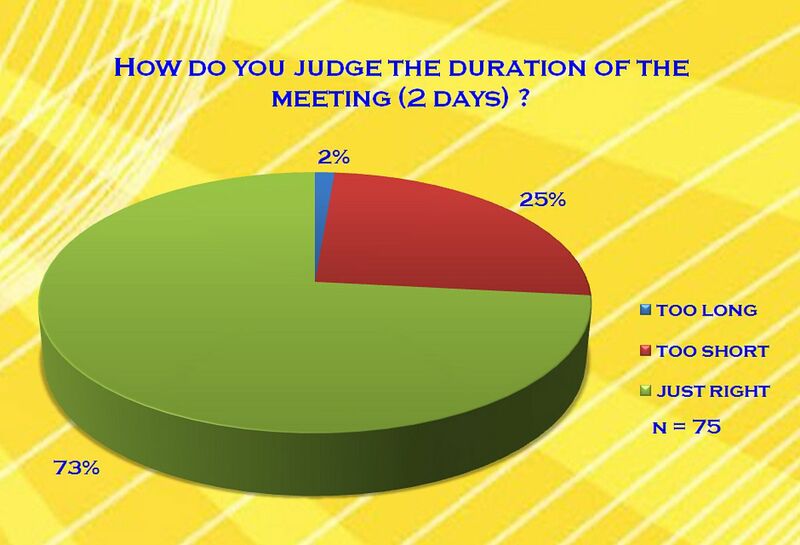 How do you judge the duration of the meeting (2 days)? 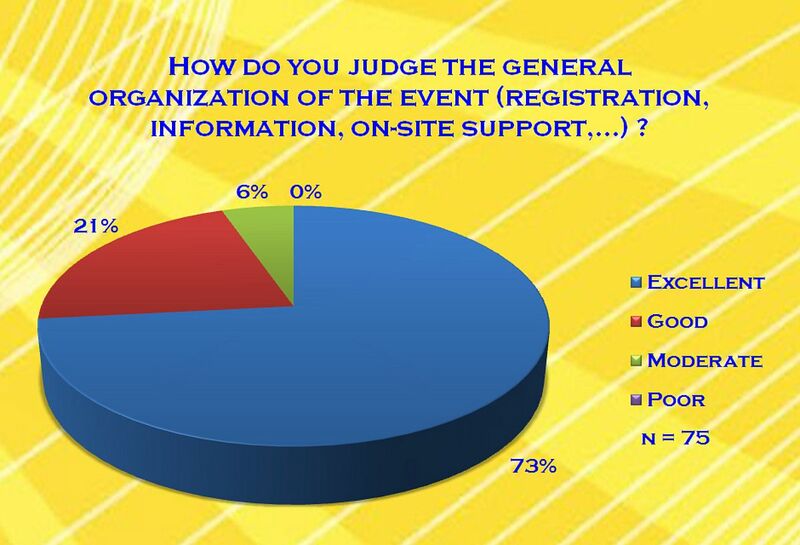 How do you judge the general organization of the event (registration, on-site support,...)? 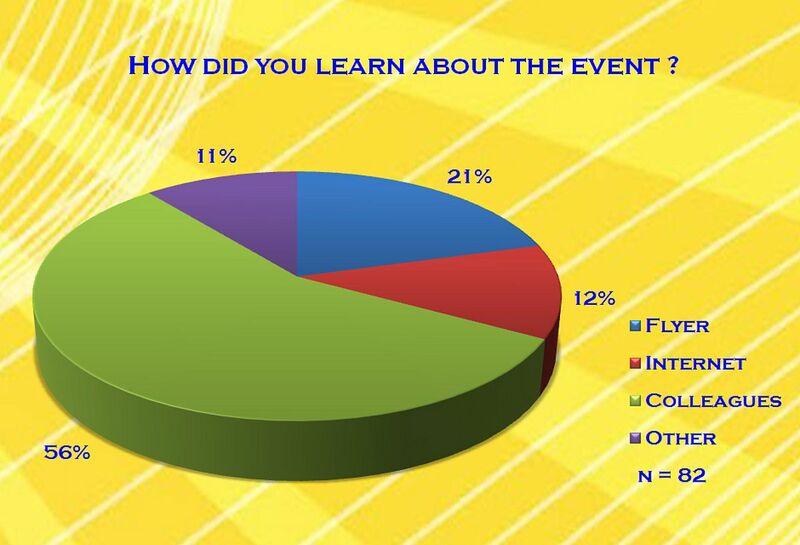 Would you consider attending such an event again? 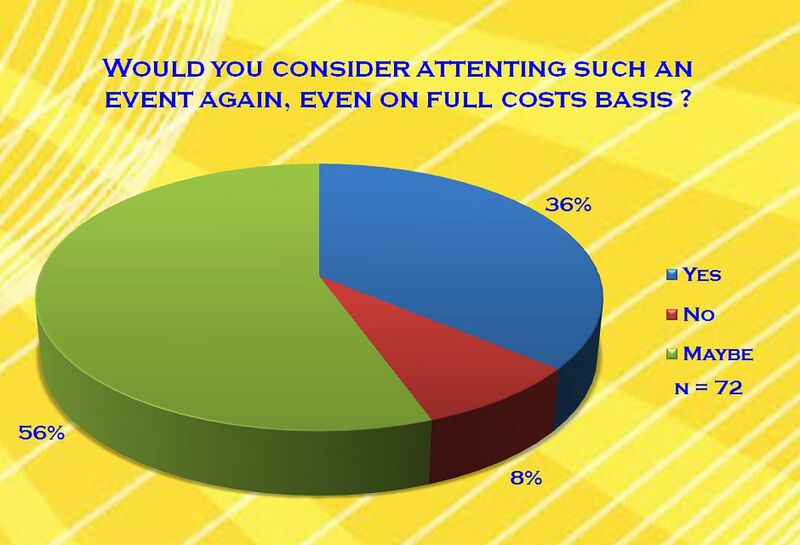 Would you consider attenting such an event again, even on full costs basis? How useful was the information of our newsletters before the event? 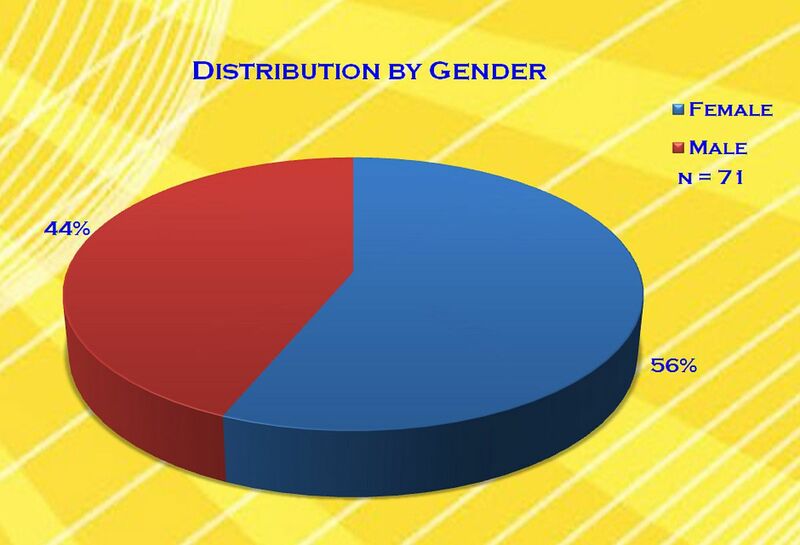 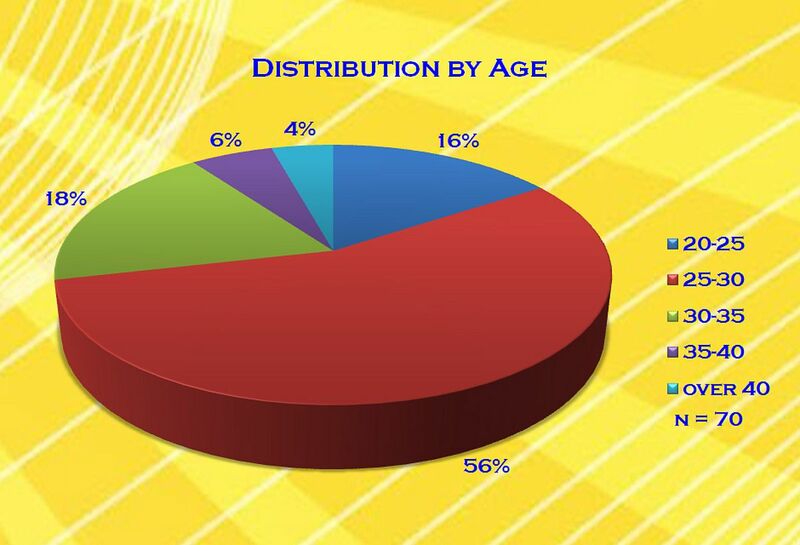 How did you like the frequency of our newsletter?